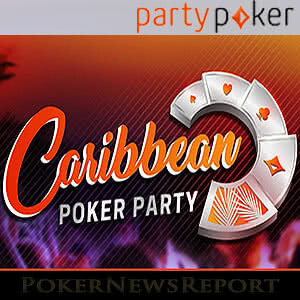 Following player feedback, Party Poker has announced changes to the structure of its Caribbean Poker Party promotion. The changes take effect from today. 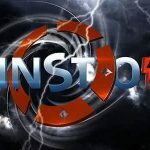 At the end of May, Party Poker announced a promotion that would reward players competing in the site´s Power Series tournaments each day with at least one $10,000 package to its Caribbean Poker Party in the Dominican Republic in October, plus dozens of satellite and sub-satellite tournament tickets. Now, one month into the promotion, Party Poker has changed the structure of the promotion from daily to weekly – allowing the site to award more packages to players at Low and Medium buy-in levels, plus extending the number of winners in each leaderboard competition from ten to fifty. 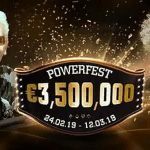 The changes to the Caribbean Party Poker promotion are positive inasmuch as they will prevent the scenario in which the same players win the top prizes every day. The changes will also give a greater number of players the opportunity to qualify for the target event. The Low Leaderboard is for Power Series tournaments with buy-ins of $5.50 and $11.00. The Medium Leaderboard is for Power Series tournaments with buy-ins of $22.00 and $55.00. The High Leaderboard is for Power Series tournaments with buy-ins of $109.00 or more. Please note that no points are awarded for playing in satellite events or phased tournaments and that satellite tickets won in the Caribbean Poker Party have no cash exchange value and will expire if not used after thirty days. The weekly leaderboard format starts today (Monday 26th June) and is scheduled to run until Sunday 13th August. Whereas under the old structure, the best prize the winner of the Low Leaderboard Competition could win was a $109.00 Semi-Final Ticket, he or she will now win a $10,000 package to the Caribbean Poker Party. Two packages will be given away each week in the Medium Leaderboard Competition (rather than a $1,050 Final Ticket) and five packages will be up for grabs in the High Leaderboard Competition. The CPP Packages are well worth winning. They consist of the $5,300 buy-in to the Party Poker MILLIONS Main Event, a week´s all-inclusive accommodation for two at the Melia Caribe Tropical in the Dominican Republic and $2,000 towards travel expenses. There are plenty of side events and leisure activities planned to ensure the week is as profitable and enjoyable as possible. For a full explanation of how the Final Tickets, Semi-Final Tickets, Feeder and Mini-Feeder Tickets work, please refer to this article from when the promotion was first launched. The changes to the structure of the promotion will make it easier than ever before for low and medium buy-in tournament players to qualify for the Caribbean Poker Party. Furthermore, as the runner-up prizes are of a higher value than they were previously, the CPP Feeders and Semi-Finals will likely be better populated – resulting in more packages being given away in the weekly finals. If you would like to be part of the action when Party Poker takes over the Melia Caribe Tropical in October, register for an account with Party Poker today. 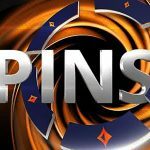 First time depositors using the Party Poker bonus code “PNREPORT” are eligible for a 100% bonus on their first deposits up to $500. 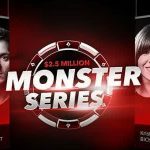 That should take care of a few buy-ins for Party Poker Power Series tournaments.